In high school, I never really wanted to have anything to do with the associated student body (ASB)—our student led organization that put on school dances and assemblies. I was more than content leading the various volunteer and academic organizations I was a part of. Fast forward to my third year at Cal, I was building a coalition to get one of my best friends elected to one of the top positions within the Associated Students of the University of California (ASUC)—Cal's ASB. In the end, this friend won with a number of votes higher than most of that year's city council races. When my friend first approached me about the idea of running, I paused. I knew there was a lot of work ahead of us. At the same time, I was excited about the prospect of applying many of the lessons learned studying political science and business. Under the influence of a shot of tequila and feeling the warmth of the nearby fireplace, I dedicated myself to getting my friend elected. We first started with a goal—get 10%of the undergraduate population to vote for my friend. 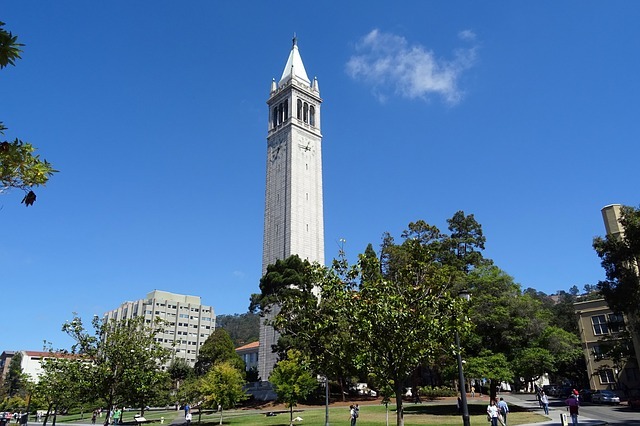 The undergraduate population at Cal is around 30,000. This meant we were aiming to get 3,000 votes (out of an otherwise apathetic voting population). Having been involved within leadership in the residence halls and having been involved in various on-campus organizations, I knew that for us to achieve victory, we would have to build an excited coalition of voters that extended multiple connections out. The first steps centered around finding movers and shakers within our own network. Fairly shortly, we were able to create a campaign staff that represented various aspects of the campus. From the College of Engineering to the College of Letters and Sciences, cultural activity to student activist groups, we went through an iterative process of further identifying students with influence who would see value in supporting my friend. I remember nights spent figuring out how to introduce my friend to various organizations on campus. At one time, his Google Calendar was pretty much dictated—with the exception of classes—by his campaign staff. Meeting after meeting, introduction by introduction led to a pool of voters more informed about how my friend would help improve their experience on campus. The second phase of this campaign focused on getting undecided votes. We knew that we already had probably 8% of the vote in the bag. Out of the total population there's already a good number of students who skip the ASUC elections—we couldn't do too much about this beyond getting them excited to vote. On the flip side, there's a set of students that would vote simply by slate—in the same way that many in US elections vote across party lines. Focusing on undecided voters would allow us to get the incremental votes needed to surpass other strong voting blocks. To sway undecided voters, we made it a point to come down to their level, to understand them on a personal level and to communicate platforms in a way that was relatable. This approach took a lot of time an effort to pursue but, whereas, many other elections had left students uninspired, I found many students pumped up to play their part by voting. The last aspect of the campaign focused on driving the message across 10x. If a student heard that the ASUC election was on a specific day, they probably heard it at least nine other times so that they would know, without a doubt, when they should vote for my friend. 10x might be a bit of an exaggeration. However, I borrowed the idea that you need to show your message multiple times before a customer acts. Effectively we tried to make it known to people 1. what the ASUC was, 2. who my friend was, 3. why they should care and vote, 4. how to vote in the election, and 5. where the election was. After months of campaigning, it was election results day. Nervously I stared at the screen. Wave after wave came in my friend's party favor. Eventually it was time for the election results for the Academic Affairs Vice President (AAVP) to be announced. My friend had won with not even 10% of the votes. He had won with 25% of the student population. This put the vote count at around 7,500—almost double the number of votes for a Berkeley city council spot that year. A majority of these votes came from people who we managed to inspire along the way. Whereas many other elections and candidates had narrowly focused on subsets of the student population—to the effect of ignoring others—our coalition was able to speak personally, inspire, and engage. I'm not sure I'll ever get to do this again, but it was a very rewarding experience that highlighted the benefits of understanding and speaking with people on a more personal level. People are people—not numbers or enemies. The more that we can remember this, the more that we can move on and actually start making progress on some really cool things.